As the world of higher education continues to evolve, leaders are increasingly investing in comprehensive research that informs their biggest challenges—and keeps them ahead of the pack. Across 2018, Hanover Research led over 1,500 research projects to support higher education leaders in their efforts across Academic Development, Enrollment Management, Marketing, Student Experience, Finance, and Advancement. This report, the 2018 Higher Education Year in Review, outlines how higher education institutions tackled their top 2018 priorities with support from Hanover. 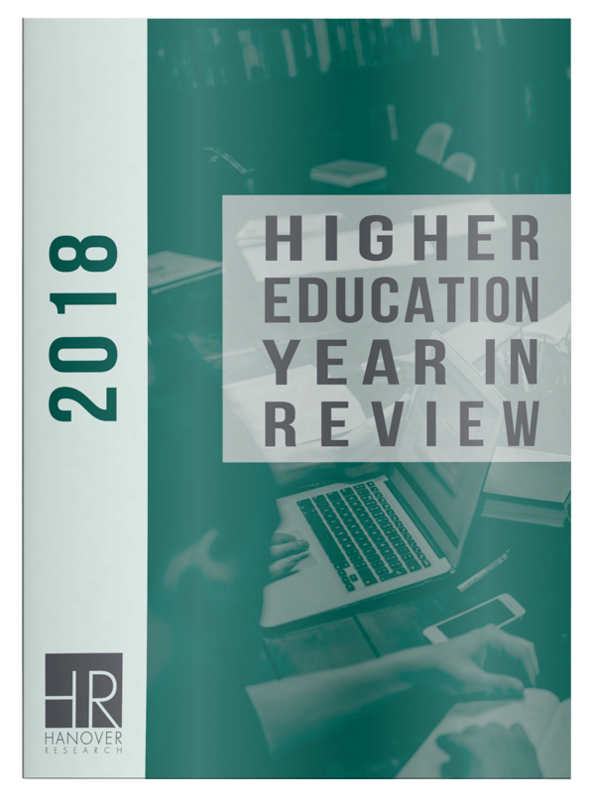 Download the 2018 Higher Education Year in Review now!